My cousin goes skiing all the time; meanwhile, I’ve never been skiing. It’s not just because I have the grace and balance of a sloth with an inner ear infection, but because skiing is expensive and the last thing I need is another costly hobby. Still, skiing is very popular and a lot of folks ski way better than I can, but I imagine the crowds at Sugarloaf, the highest skiing mountain in Maine, will be down a bit in the wake of a recent incident. 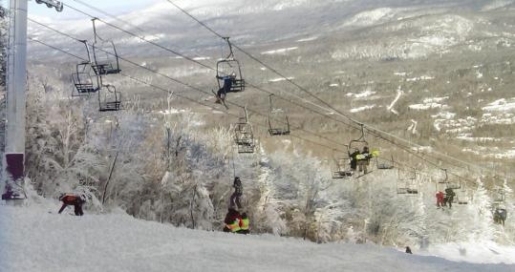 Eight people were injured and 150 people were stranded after a chairlift derailed at the Carrabassett Valley’s Sugarloaf resort. The ski lift that broke down was Spillway East, which was put into service in 1973 and revamped in 1983. The lift, one of 15 on the mountain, apparently suffered some sort of catastrophic breakdown, with a cable either splitting or jumping off the track. The chair lift was nearly at full capacity; Spillway East carries 162 passengers when completely full. The stranded passengers were stuck for nearly two hours in freezing temperatures and 25 mile-an-hour winds. The injured were taken to hospitals in nearby Farmington. The ski lifts at Sugarloaf are inspected daily, licensed by the state of Maine, and undergo routine maintenance throughout the year.